Tonight I will be reading from this book. Just like Tyra Banks’ Modelland every page has a Say Wha?! moment. If you can’t judge a book by it’s cover, let me explain. 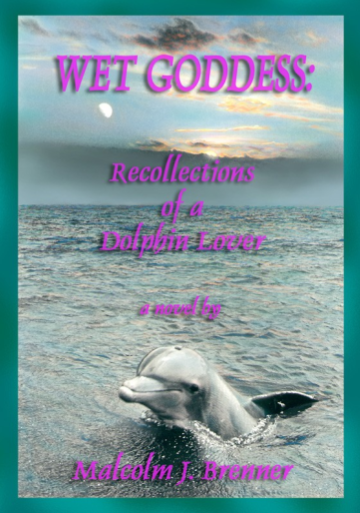 This novel is based on the true story of the author who had a nine-month sexual affair with a dolphin. Yeah. Say Wha?! If you can’t make it to the show, you’re in luck because the show will be live-streamed from 8-10pm Pacific time. I’m on first so tune in early. I know! You should watch the live-stream tonight. It’s crazy. And it’s not the dolphin loving that’s the craziest part – there’s telepathy! Gee, I wish you had let me know so I could have listened in! Is this archived anywhere? I’m dying to know which chapters you decided to read and why.